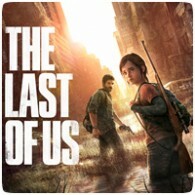 The Last of Us Trophy List has been released by IGN, ahead of the game’s official release next month. The trophies in this game, however, aren’t anything like those you will find in Naughty Dog’s Uncharted series. There are fewer Bronze trophies to unlock in this game – in fact, there are only seven bronze trophies in total. Instead, there are far more Gold (6 in total) and Silver (9 in total) trophies to unlock. In comparison, Uncharted 3: Drake’s Deception had only one Gold trophy, and both Uncharted 2: Among Thieves and Uncharted: Drake’s Fortune had three Gold trophies each. Complete the game on Survivor. Complete the game on Survivor+. Fully upgrade Joel with supplements. Engage in all optional conversations. Complete the game on Hard. Complete the game on Normal. Complete the game on Easy+. Complete the game on Hard+. Complete the game on Normal+. Win a game of Supply Raid and Survivors in Find Match. Complete the game on Easy. Build your clan to 40 people in Factions.